As football betting fans will know, players and managers are willing to go the extra mile in an effort to pass the buck. Here, news.bwin.com/en/ takes a look at the five most imaginative excuses offered up by some of the sport’s biggest starts. Blame it on the language of football. Imagine if the manager of the England national team was heard racially abusing a club colleague of one of his charges. 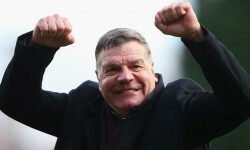 Can you envisage him staying in his job for longer than it would take the FA to say “you’re fired?” No, I can’t either. Amazingly, former Spain coach Luis Aragones was given a stay of execution despite microphones picking up the following conversation with Jose Antonio Reyes about Thierry Henry: “Tell that black s**t, you’re better than he is. Tell him that from me. You must believe in yourself.” According to the Times, the Spanish FA said Aragones was only using “colloquial language familiar to the football world”, which, it seems to me, is basically a way of saying that footballers are too ignorant and ill-educated to be considered racist. Not the best message to send out, anyway. Kenny Dalglish is a plain-talking sort of fellow. Doesn’t suffer fools gladly and all that. So it was all a bit of a shock when he came out with one of the lamest excuses of all time in 1998. After watching his Newcastle side struggle to a 1-1 draw against Stevenage Borough in the FA Cup fourth round, King Kenny blamed the poor performance on the balls being too bouncy. Not one likely to be used again in the near future. David James earned the “calamity” moniker during his time at Liverpool and really didn’t help his cause when he ascribed his poor form between the posts to the over-enthusiastic use of his PlayStation. “I was getting carried away playing Tekken II and Tomb Raider for hours on end,” the then-Anfield stopper said. To be fair to Jamo, both are gaming classics. Sometimes, even the forces of nature line up against you. They certainly lined up against Ukraine at the 2006 World Cup. After being put to the sword by Spain, Ukraine defender Vladislav Vashchuk blamed the defeat on an interrupted night’s sleep caused by amphibian adversaries. “Because of the frogs’ croaking we hardly got a wink of sleep,” he explained. “We all agreed that we would take some sticks and go and hunt them.” No word on the success of the hunt, unfortunately.